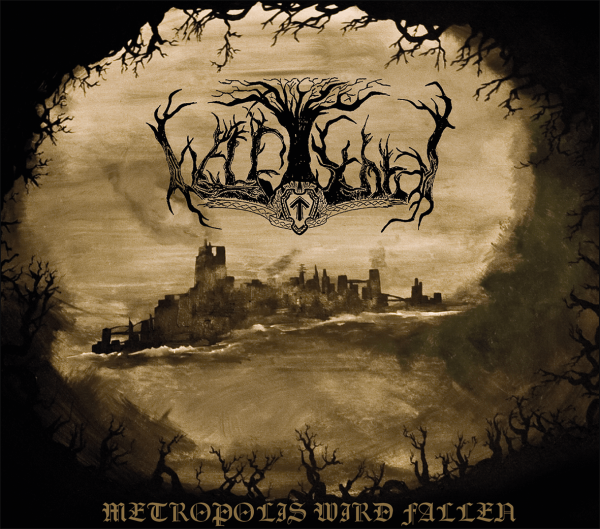 TR034CD Waldschrat - Metropolis wird fallen available on May 25, 2017! Metropolis wird fallen, the title of the second full-length album of the lower austrian black metal band Waldschrat. The topics on the album are about the decadent society and their downfall. The whole album layout is created in sepia, the rough paper outside creates a vintage and high-quality album. The booklet-sleeve is located on the right site which prevents the booklet to fall out when the digipak is closed. The booklet has twelve pages and includes all lyrics to the tracks.